Emergency Preparedness is the capability of the public health and health care infrastructure, communities, families, and individuals, to prevent, respond to, and recover from emergencies in a coordinated and continuous manner. First Responders are law enforcement, fire, and medical emergency personnel that interact, support, treat, and meet the needs of children, youth and adults with autism. QI 10.1: Needs of children, youth, and adults with autism are considered in state and local emergency preparedness plans. Problem: State disaster response plans that address the needs of children, youth, and adults with disabilities are difficult to locate. In Georgia, local resources exist, but are sparse and incomplete. Additionally, there is no requirement for the coordination of local registries for accommodating the needs of children, youth, and adults with autism in crises. QI 10.2: Children, youth, and adults with autism are informed and prepared to handle emergencies. For example, families have the knowledge and resources to plan and practice emergency plans. 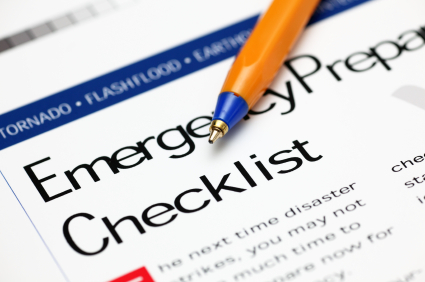 Problem: Few families have plans for what to do in a disaster or emergency. Vulnerable populations, including children, youth, and adults with disabilities, are even less prepared than the general population. QI 10.3: First responders, such as police officers and emergency medical personnel, are equipped to support children, youth, and adults with autism in times of crisis. Problem: First responders, law enforcement agents, and school safety officers are often unaware of the special considerations needed to protect and serve children, youth, and adults with autism. Additionally, they lack the necessary training for safe and successful interactions with children, youth, and adults with autism, particularly in emergency situations.